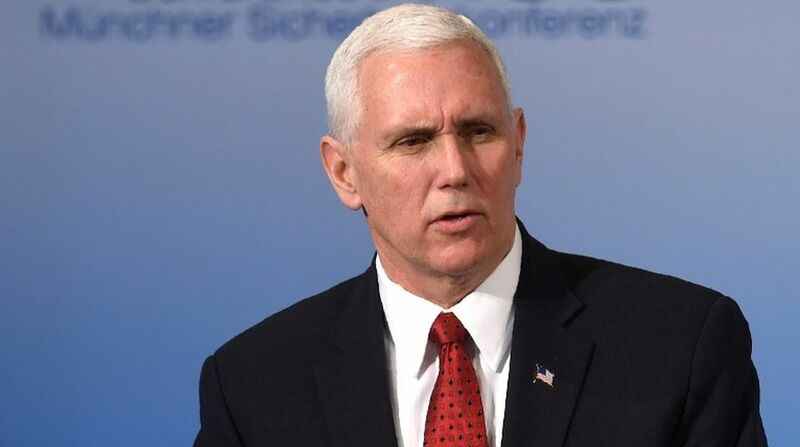 US Vice President Mike Pence on Thursday said that Washington was committed to peacefully resolving the challenge posed by the North Korean regime’s nuclear weapons programme, but did not rule out resorting to military force if necessary. Pence was addressing US troops at Yokota Air Base in Japan before departing for South Korea to attend the upcoming PyeongChang Winter Olympics slated to begin on Friday, reports Efe news. “Together with our allies and partners, we will continue to strive to peacefully dismantle North Korea’s nuclear programme and alleviate the suffering of its people,” Pence said. He reminded his audience that Pyongyang had repeatedly responded to “the overtures of the wider world with wilful deception, broken promises, and endless and escalating provocation”. As such, the Vice President said the US would be “ready for any eventuality. Let our adversaries know: All options are on the table”. In a defiant message to Pyongyang over its repeated weapons tests, Pence said “to any who would threaten our people, the US is ready to defend our homeland, to defend our allies anytime, anywhere”. Pence added that “those who threaten us would do well not to underestimate the capabilities of the armed forces of the US. Our military power is unparalleled, our strength of arms is unsurpassed, and you know, and I know, our forces are ready and our nation is resolved”. Pence delivered his remarks shortly before departing for Seoul, where he will be welcomed by the South Korean President Moon Jae-in and will attend the opening ceremony of the PyeongChang Winter Olympic Games on Friday. His speech comes at a time of improved relations on the Korean peninsula as a result of North Korea’s participation in the Olympics, although on Thursday Pyongyang denied that the diplomatic delegation which has travelled to the South would meet with Pence and other American officials.